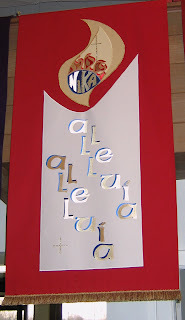 The banners above were made in praise to God by my mother. She truly spent all her days praising God. My mind is still trying to wrap itself around the fact that she has died. I’m reading Psalms tonight. David knows the anguish and despair I’m feeling. But yet he amazes me…the very next psalm, Psalm 23, is the most comforting psalm in the Bible. How can this be? How can David be so distressed in one verse, and then so uplifted in the following verses? Faith. He had a great faith…a faith that I seem to be lacking. Some events in the past week have made me think about my mom. I’ve been looking back; remembering; caught up in the past. This past week was also Holy Week, and so I’ve been preparing for Easter. I’ve been looking forward to celebrating Easter. I’ve been looking toward the Resurrection. In this journey of grief, I mourn every day that takes me further away from my mother. Every day that passes takes me farther away from the time when my mother was alive. But what if I look at this passage of time in a new way? Every day that passes is one day closer to when I will see my mother again. My human mind cannot comprehend this; Mom died; she is gone. But with faith, I know I will see her in heaven again. And so I need to look forward. I need to look to the cross. I need to look forward to the day I will join my Savior in heaven. 6 Responses to Christ is Risen! 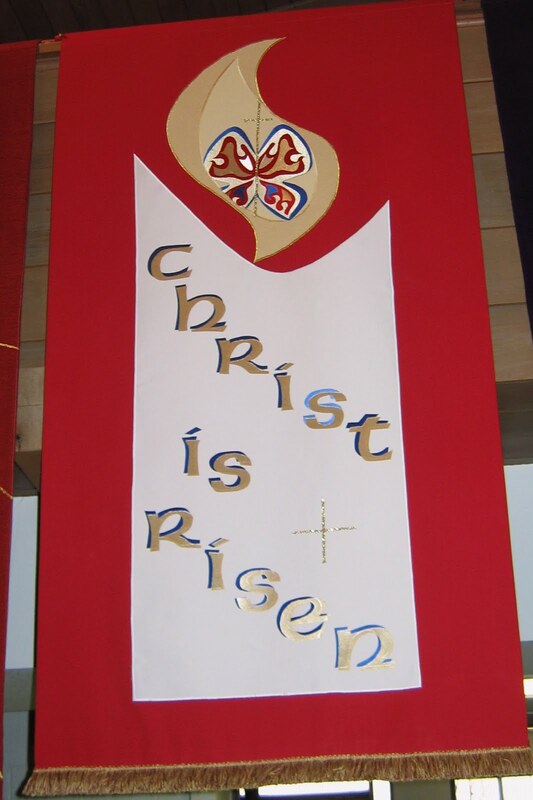 What lovely banners. ((HUGS))Have a blessed Easter. 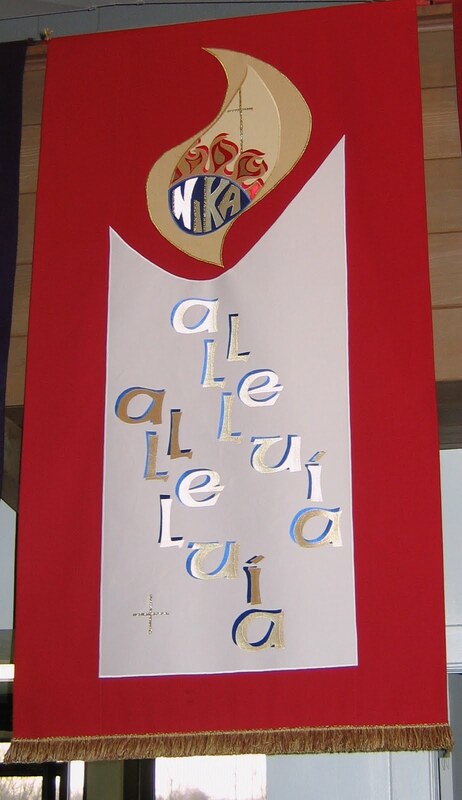 Those banners are lovely–what sweet memories you have of your mom. Just wanted to wish you a happy Easter. This was a beautiful, poignant post! I love the new way that you look at the passage of time bringing you closer to being with your Mom. Thank you for sharing that.I also loved what Gretchen said and I hope I get to the same place feeling my Mom more and more. And I think it makes perfect sense to celebrate the things her mom did now. I'm finding myself do that too.God bless you both and Happy Easter! When I lost my mother, I went through some of what you're feeling. And I eventually discovered that as time went on, and I got further away from the time my mother was alive, I found that she was actually with me more and more. That her presence and love was with me more intensely than I'd ever felt it, even when she was alive. And, I now find myself loving the very things she loved (church, Jesus, Easter) and in a strange way loving them for both of us. Does that make sense?